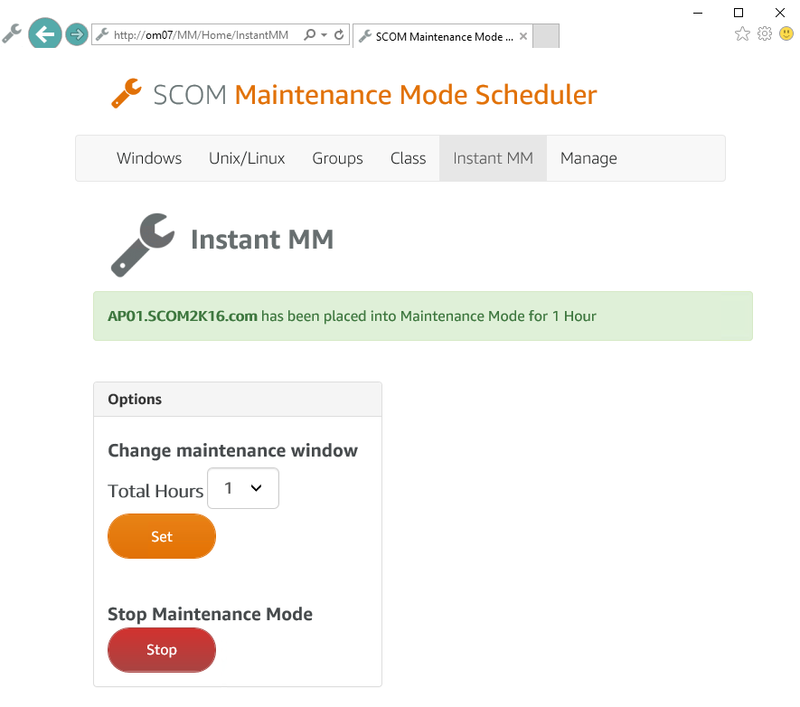 The SCOM Maintenance Mode Scheduler application makes enabling and scheduling maintenance mode simple for all users. Your IT staff will no longer have a reason why a server wasn’t put into maintenance mode. The updated HTML5 web application now works with SCOM 2012 R2, 2016, SCOM 1801, 1807 and 2019. 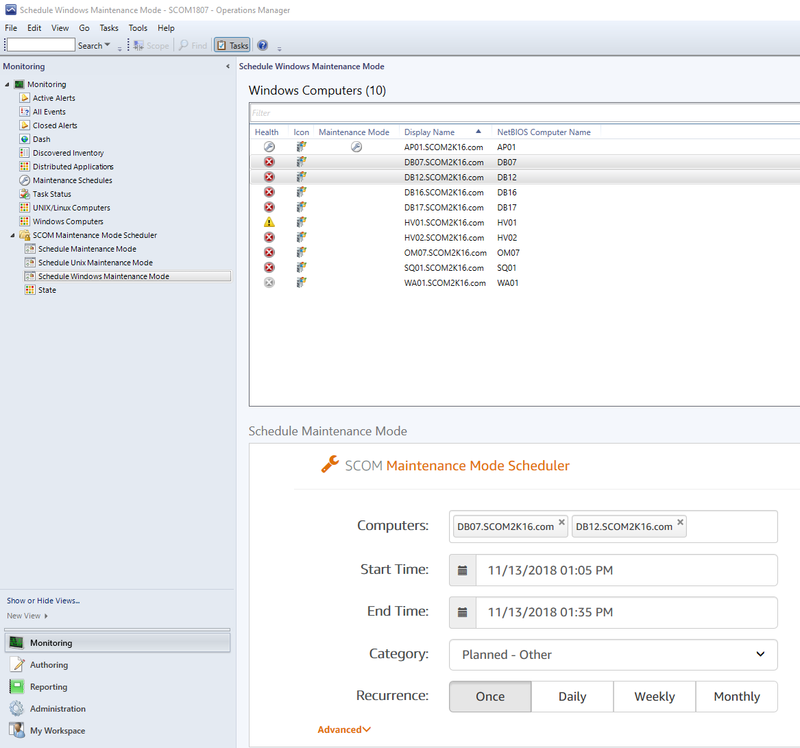 It deeply integrates into SCOM using all the new native maintenance mode scheduling capabilities. All your IT staff can quickly schedule maintenance mode without having to install and use the slow console. Redesigned web application that works 5x faster then the previous version. Works in multiple different modes. Open Access: You can choose to enable open access where anyone can schedule maintenance mode even if they are not in SCOM. SCOM Role Based Access – Only allow SCOM users to access and schedule Computers, Groups, and classes they have access to. 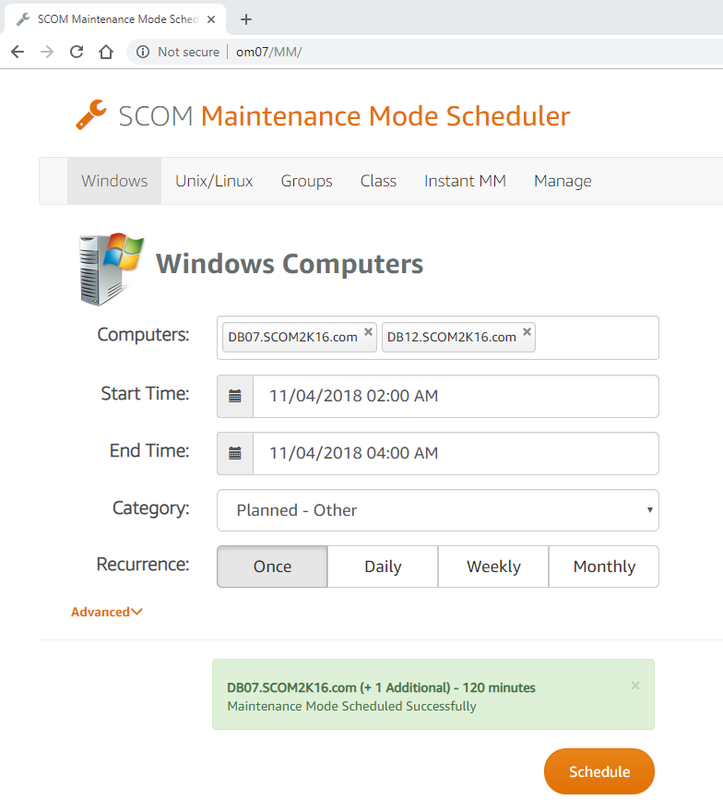 SCOM Maintenance Mode Scheduler has the ability to add parameters to the URL.